Jean Luc Lafitte graduated as a Chiropractor in 1995, and since then has gone on to study mineral nutrition and hypnotherapy. Prior to this he gained experience as a nurse’s aid among various other employments until finding his vocation. His most successful treatment has been in weight-loss. Jean Luc’s goal is to educate the person to take care of their life, he is not there to heal them but as a facilitator. He currently practices at the Hale Clinic in London. 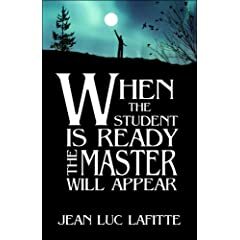 In this interview Jean Luc discusses with Merryn Jose, his first book, When The Student is Ready The Master Will Appear. To download the Podcast, CLICK HERE . Please give it a few moments to load.